Campaigners have won a six-year fight to block a £55m development on green space off the Teesside coast. 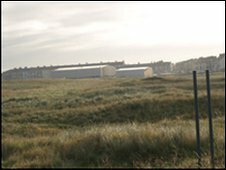 Redcar and Cleveland Borough Council had wanted to build more than 300 houses, a sports centre and a swimming pool on the town's Coatham Common. But the UK Supreme Court has now ruled it should be registered as a village green following an appeal by the Friends of Coatham Common group. A public inquiry had wrongly ruled it did not meet criteria, judges said. Plans for the Persimmon Homes development were first unveiled by the council in 2004, and the public inquiry was held when campaigners tried to register the land as a village green. Residents were required to demonstrate they had used the land "as of right" for sports and other pastimes over a period of 20 years. But the planning inspector found that they had failed to use the site "as of right" because they had deferred to golf club members by allowing them to play their shots on part of the common used as first and eighteenth holes. The council's decision to follow the public inquiry's findings and not to register the land was subsequently upheld in the High Court and Appeal Court. However, the Supreme Court ruled on Wednesday, following a three-day hearing, that the planning inspector had "misdirected himself" in the significance of residents showing "civility" to the golfers. Councillor Charlie Davis, of The Friends of Coatham Common, said: "This is amazing. After years of battling to save this green space, where generations of Coatham people have played football and cricket, we have finally won the day. "We now call on the council to work with us to make this green space a worthy memorial to our greatly-missed late MP, Mo Mowlam." Councillor George Dunning, leader of Redcar and Cleveland council, said the authority was "disappointed" with the Supreme Court's decision. He said: "This means we won't be able to progress the regeneration of Redcar as quickly as we would have liked. "We are meeting with Persimmon Homes next week to consider the options available to us."